This article is written by Jim Vieira a stone mason, researcher, freelance writer and member of the Northeast Antiquities Research Association, and I couldn’t have said it better. Scattered throughout the woods and fields of New England lie the remains of an ancient civilization. These remnants are enigmatic stone structures that predate European settlement. Standing stone circles, hundreds of impressive and elaborate stone chambers, massive balanced stones, over one million stone cairns, stone animal effigies, solstice and equinox markers and many other unexplained structures litter the landscape. Historical texts, colonial reports, carbon dating, astro-archeological research and Native American oral traditions all support this contention. The Adena, Hopewell and Mississippian mound building cultures built earthen mounds, pyramids and geometric enclosures that showed an extremely high degree of engineering and mathematical skill. 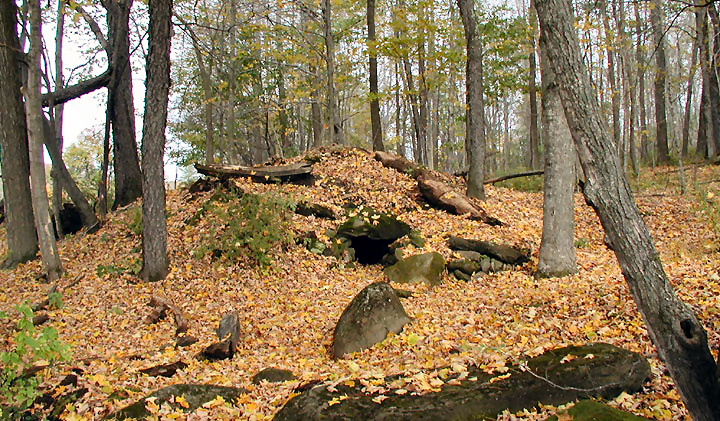 Shell and midden mounds were built from Florida to Maine. Mystery stone walls and forts were built throughout the midwestern states. In the Southwest the Anassazi and Hopi built star cities on the ground that are a perfect reflection of all the major stars in the Orion system. While all this construction and more was happening in ancient America, we are told that in New England there was nothing occurring of note other than scattered native tribes involved in a fairly primitive lifestyle. 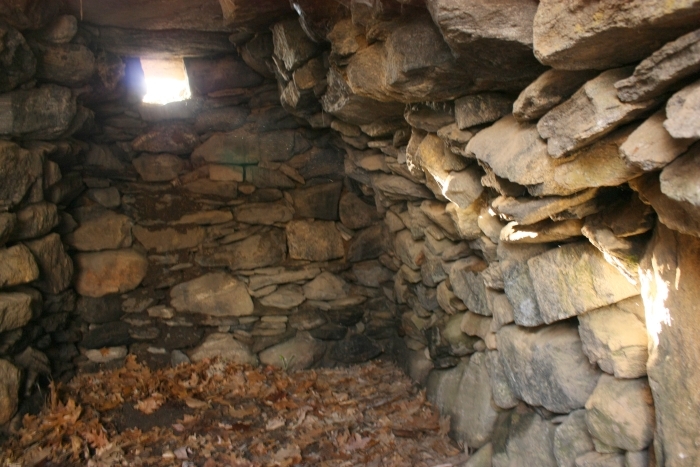 Archeologists continue to claim that stone chambers are root cellars, elaborate cairns, sometimes up to 9 feet high and conical or in the case of the 25 foot high 200 foot long, Hopkinton, MA cairn, are farmer’s clearing piles and dolmens and balanced rocks are glacial erratics. It is as if a large circle is drawn around New England which represents a complete absence of precolonial construction. This is the conventional wisdom proposed by the Archaeological community, however the evidence does not seem to support this notion. 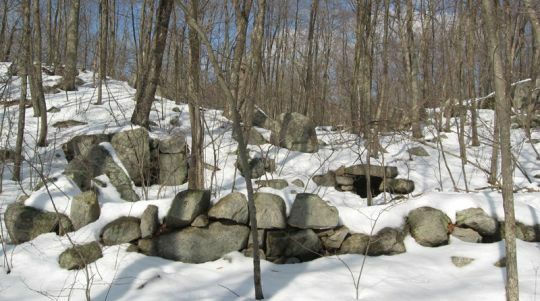 Let us look at several enigmatic stone sites in New England and what they tell us about its mysterious past. America’s Stonehenge in Salem, New Hampshire is probably the most elaborate and controversial site in New England. It has been described by Dr. Edward J. Kealy, professor of History at Holy Cross University as “potentially the most important stone complex in the Northern Hemisphere”. Featured on the History Channel and other programs, this 30 acre complex is a mixture of stone chambers, stone solstice and equinox markers, cairns, chimneys, fireplaces and stone drains. The two largest stones here weigh 45 and 70 tons. The site has been carbon dated to at least 2000 B.C. by scientists at Geochron Labs of Cambridge, Mass after dating 13 different test pits. That dates it’s construction half a millenia before the final construction phase of Stonehenge, and like Stonehenge it possesses many precise astronomical alignments. Stone markers throughout the site provide over 200 alignments with the sun, moon and 45 different stars which have been verified by independent researchers. One alignment wall allows a person to observe the southern most standstill of the moon on its 18.61 year metonic cycle. A period of 18.61 is required to carry the moon to all of its possible positions in respect to the sun. This event is marked at Mystery Hill as the moon passes above the winter solstice stone and then aligns with the terminal of this wall. In a letter dated November 30, 1654 by John Pynchon (founder of Springfield, Mass.) lends strong support to the idea that many stone structures existed here before the colonists arrived. Here is a portion of his letter. “Honored Sir, Understanding you are now at New Haven and supposing there will be opportunity from Hartford for conveyance thither, I make bold to scribble a few lines to you… Sir, I hear a report of a stonewall and strong fort (chamber) within it, made all of stone, which is newly discovered at or near Pequet (presently known as the Gungywamp Range), I should be glad to know the truth of it from your self, here being many strange reports about it”. Gungywamp in Groton Conn. is another site that has been thoroughly researched and has generated equally perplexing questions. Also featured recently on the History Channel in the special “Who really discovered America”. The complex has stone chambers, precolonial walls, a bird petroglyph, a double concentric ring of 21 large quarried stones and has been carbon dated to 600 A.D. Nearby there are several large standing stones that have been carefully positioned along astronomical site lines. The main chamber has a stone lined shaft that was designed precisely to permit theEquinoctial sunset to fully penetrate the chambers dark interior only on the spring equinox. The high density of the granite in the stones magnifies the intensity of the sunlight entering the chamber. Archeo-astronomers have determined that New England is replete with stone chambers. There are some 105 astronomically aligned chambers in Massachusetts, 51 in New Hampshire, 41 in Vermont, 62 in Connecticut, 12 in Rhode Island and 4 in Maine. Suffice it to say, it is obvious that the alignments found at Gungywamp and America’s Stonehenge are not random. Orthodox archaeologists routinely claim that the chambers are colonial root cellars. At the Pound Ridge Historical Museum in New York exists a faded letter dated July 1742. It is from a priest writing back to a local farmer who had just discovered a stone chamber near his property in the woods. The priest instructed the man to stay away from the chamber because it was the work of the devil and was a place where the devil enters this world. Why would this admonishment take place if it was a colonial root cellar as modern archaeologists insist? These stone chamber sites often have large standing stones, stone animal effigy mounds, wells, cairns and wall complexes associated with them. James Mavor and Byron Dix led a seven year investigation into stone sites in New England with much of the focus on two sites in Vermont they named Calendar 1 and Calendar 2. Mavor received a masters degree in naval architecture from MIT, taught marine engineering at the U.S. Naval academy and taught mechanical engineering at Northeastern University. As a research specialist in applied physics he was the lead designer of the famous deep sea submersible “Alvin”. Dix was a brilliant optical designer and an expert in archeo-astronomy, surveying, precise measuring and was eminently qualified for the research they undertook measuring the movements of heavenly bodies. Their results were eye opening. The Calendar Two stone chamber was built with the exact 2 to 1 ratio found at many worldwide sacred sites, it’s roof is constructed with nine 14 foot long expertly joined roof stones that weigh over 3 tons apiece. But even more sophisticated, the size of the doorway entrance is such that it’s limits mark the declination angles 18.3 and 28.6 of the moons major and minor standstills, thus providing a means of accurately predicting eclipses. This form of ecliptic prediction requires advanced astronomical, mathematical and engineering knowledge. 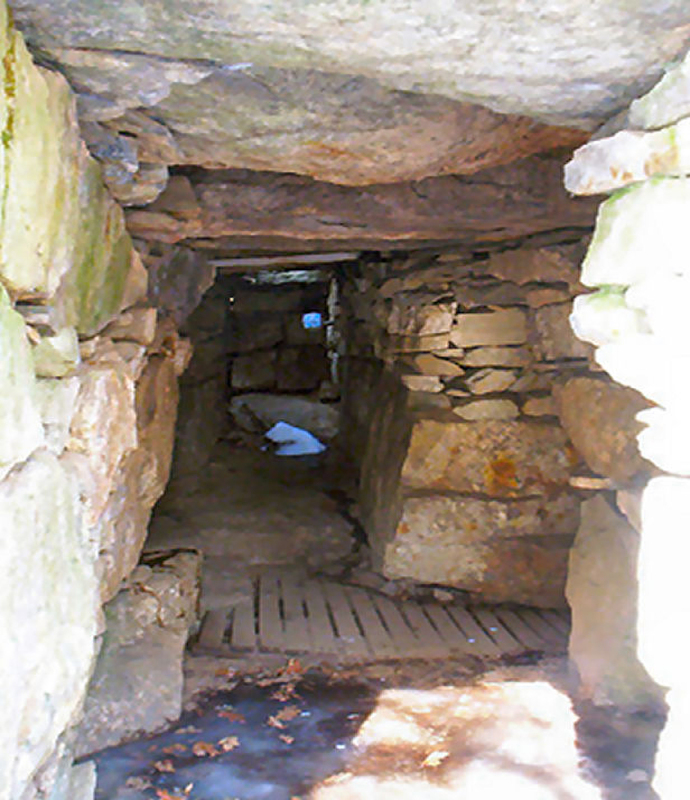 Down the road at Vermont’s Calendar One site 8 stone chambers, 14 standing stones, 5 cairn groupings and many other stone structures were meticulously and painstakingly excavated, mapped, and studied. There turns out to be 32 astronomical alignments from one single location at the complex. These two Vermont sites are 14 miles apart but they exist on a perfect north/south alignment accurate to within 200 feet. Mavor and Dix concluded, based on their research that the sites were at least several thousand years old . The stone chambers of New England like all the precolonial stonework are dry laid. When you examine any of these chambers you will see that they were not easy to construct, their design is quite complex. The walls are built using a technique called corbelling. This sophisticated architectural design is used to support arches, parapets and floors. In this case corbelling is used in the walls which are made up of piles of stones arched inward to support the ceiling lintel stones. At the New Salem Mass. chamber, the roof is one stone slab which is 10 ft. x 5 ft, several feet thick and weighs over fifteen thousand pounds. Forgetting about the mathematics and geometry of solar orientations for a moment, the organization, engineering and force required to construct some of these chambers is very impressive. In Upton, Mass. there is an enormous stone chamber which was built completely underground and carved into the side of a hill. A 4 ½ foot high 14 foot long tunnel leads into a 12 foot diameter 11 foot high chamber. The irregular stones were meticulously fitted and many roof stones are ovals weighing over ten thousand pounds apiece.This chamber also possesses many precise astronomical alignments with a focus on the Pleiades. Charcoal remains in a stone chamber in Putney, Vermont have been carbon dated to 492 A.D. by Geochron labs. In 1951, Yale archaeologist Frank Glynn studied the massive stone turtle mound in Andover, Mass. The stone mound has two chambers in it and Glynn found charcoal and human bone remains in them that were carbon dated to 2000 B.C. Glynn also found tools andartifacts that he dated to 3000 B.C. Lastly, in 1981 a team of Harvard archaeologists studied and dated an ancient stone wall at the Flagg Swamp rock shelter in Westborough, Mass. to 2700 B.C. This site was later destroyed to make a cloverleaf for the I-495 interstate highway. Putting aside carbon dating evidence for a minute, are we to believethat colonists built these elaborate and time consuming structures and had the means and desire to orient them to predict eclipses and mark equinoxes and solstices? Let us now examine the stone walls of New England. Again conventional wisdom states that every stone wall you see was built sometime in the last 400 years. This seems like a reasonable claim at first glance, colonialsdefinitely built walls for property boundaries and agricultural uses. Timber eventually became scarce in the colonies and fencing was needed as land was farmed and livestock raised. We are told that the majority of the walls were built in a 75 year window between the revolutionary and civil wars. How many walls did and does New England actually have? An 1872 U.S. Department of Agriculture report estimated there were over 240,000 miles of stone walls east of the Hudson river right after the civil war. This very conservative estimate was done using incomplete data and didn’t account for other areas in the northeast that possess large amounts of stone walls. The actual figure is well over 500,000 miles, many researchers estimate. That is a stone wall that circles the earth 20 times or all the way to the moon and back. Reflect on that staggering reality for a minute. Does it seem likely that a colonial population struggling for survival, involved in several all encompassing wars and working difficult and unforgiving land could have accomplished this feat? The average colonial home burned between 20 and 40 hand cut cords of wood yearly. Processing this amount of wood, among other overwhelming tasks, in a harsh environment with long and difficult winters left little time for activities like wall building which had very little utility. Take the town of Hawley, Mass., an isolated community in the rugged highlands of Western MA, which has an area of 30.9 square miles. First settled in 1770 it has over one thousand miles of stone walls. However, it’s population at the time in question was 539 in 1790, 1089 in 1820 and back down to 600 in 1879. Could this meager population be responsible for such an imperssive feat? To build all the walls of New England would have been the most costly and labor intensive undertaking in colonial history. An enormous venture but with little mention in the historical texts other than the assumption that it was done. 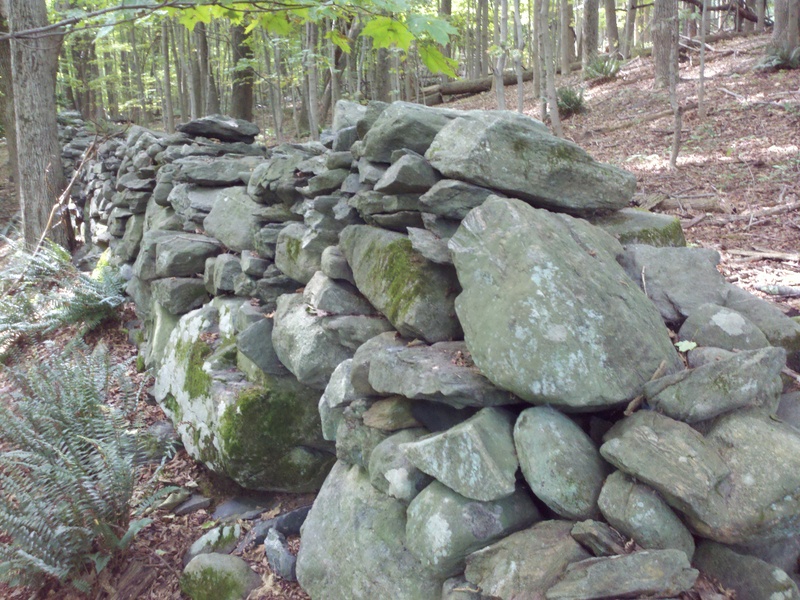 The total sheer tonnage of New England’s stone walls represents an amount greater than all the worlds pyramids, stone temples, stone complexes and ancient stone structures combined. The following news item is an example of under reporting that takes place when new information arises that doesn’t fit the existing paradigm. On December 18, 2002 the New York Times reported the following. “Scientists mapping the bottom of the Hudson River with sonar say that they have found nearly every single ship that ever foundered in the river over the last 400 years or more. The surveys have also turned up more mysterious structures, including a series of submerged walls more than 900 feet long that scientists say are clearly of human construction. They say the walls are probably 3000 years old because that was the last time the river’s water levels were low enough to have allowed construction on dry land. “I think there are going to be really significant findings”, said Warren Riess, a research associate professor of history and marine science at the University of Maine”. Or maybe there won’t be because no one will hear about this story again. This is how the information filter works, maybe something might rarely slip by once but never twice. Someone who posted a comment online after the article sums up my sentiments, “The heck with the ships, who was building 900 ft. long stone walls in the Northeast North America in 1000 B.C. or earlier”. Shouldn’t this report rewrite the history books, instead of getting scant attention and then disappearing? If many stone walls already existed in the New World when colonists arrived then there must have been documented evidence. This is most certainly the case and many of the reports are matter of fact, as if this were fairly well known and taken for granted. 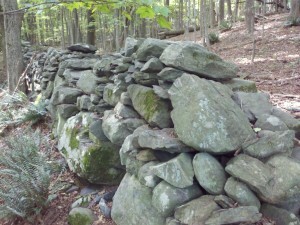 Let’s look at a few of the reports describing Indian “stone fences” and stone walls. The colonists attributed the stone work to Native Americans because they were the culture present at the time but Native American oral tradition does not include stone wall building. Henry Baker, History of Montville, CT. 1896 p 31. “Owanecco…. afterwards gave them each (two Englishmen who rescued him from drowning) One hundred acres of land, which transaction was afterwards confirmed by the General Court, and ordered to be surveyed and laid out “about a mile or two west northerly of the Ancient Indian Fence”. Stonington, CT Deeds 1664-1714. Book 2; Part 3; 2-79: “and from thence were run north northeast northerly 288 rod where we marked a small walnut tree and marked seven notches on it a little within the Indian fence at Qualquetoye. The above written act of surveyors was entered Jan. 4th 1680. Ancestors and descendant of Johnathan Abell, P.11 (Rehoboth, MA) The 26th of the 12th month 1651, it was agreed that Robert Abell and Richart Bullock should burn the commons round about, from the Indian Fence. The Smithsonian also documented one of the ancient stone wall complexes found in New Hampshire. Here is part of E. G. Squire’s report. Smithsonian Contribution to Knowledge, Vol 2 1851; p 145-146. “when the first settlers discovered the fort, there were oak trees of large size standing within the stone walls. Within the enclosure and in the mound and vicinity were found innumerable ornaments, such as crystals cut into shapes of diamonds, squares, pyramids, etc…” This site had stone blocking mounds and horseshoe shaped stone walls, both Mississippian mound building features but done with stone and not earth. There are numerous accounts in the historical texts of chambers, cairns and other enigmatic creations existing before the colonists arrived. Thomas Jefferson, Yale President Ezra Stiles, Cotton Mather, Roger Williams and countless others described the different structures they saw and theorized about who the builders might be. There is certainly a mystery here and the closer you look, the stranger it gets. Jim Vieira I am a stone mason, researcher, freelance writer and member of the Northeast Antiquities Research Association. I can be reached at jv1022jv@yahoo.com. Byron E. Dix, James W. Mavor, Manitou: The Sacred Landscape of New England’s Native Civilization, Inner Traditions International, 1989. Louis H. Everts, History of The Conneticut Valley in Massachusetts, Volume 2, 1879. Tom Draheim “A Look at Andover Turtle Mound”, Andover Guide Spring 2007.